Brownlow Sentiment Wooden Spoons will make wonderful gifts for your family and friends. This spoon features the words "Bless This Kitchen and all who eat here." 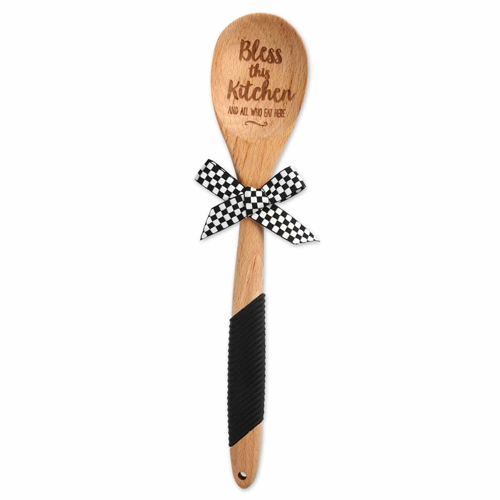 This beautiful Laser-etched wooden spoon has a silicone grip and hand-tied ribbon. Sentiment: Bless This Kitchen and all who eat here.